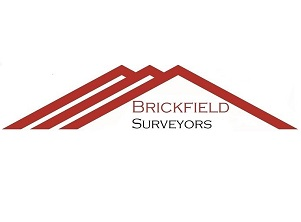 Brickfield Surveyors is a small general practice surveying firm headed by Chartered Surveyor Robert Oxley with over 25 years property experience. He is also a Registered Valuer providing mortgage valuation, bridging valuation and general practise surveying services. Buying a new house is a major decision and we understand the need for straightforward, professional and clear advice at an affordable price hence we do not add VAT to our costs. You can be assured of a personal service always. Great job, fast and detailed report, explaination by phone in details, highly recommend. Very quick turnaround time for the report. Good communication before and after the survey. Prompt service, report within 3 days of visit as promised. Telephone briefing directly after survey very useful. Report itself clear and understandable. Chance to raise any specific concerns/plans before the visit ensured these aspects were covered in the report. Would use again. Mr Oxley did a great job undertaking a Home Buyers survey. He was very thorough in his assessment and provided a detailed report at the end, giving us the confidence to proceed with our purchase. He was attentive and provided clear communication throughout the process. I liked dealing with Brickfield, they did what I asked for and were helpful in all aspects. Great service - expedient, efficient and effective. The calls before and after the surveys were very useful. Report was quite detailed. The matter was dealt with in a professional yet friendly manner. Very swift and efficient, personable and knowledgeable. Excellent service and well priced. We would highly recommend.